Jan 29, 2016 – TORRANCE, Calif.
Acura is showcasing the next generation NSX, the only supercar made in America, to the soundtrack of an iconic American rock song in a new commercial that will debut during Super Bowl 50. The high-energy vocal effects of the Van Halen classic Runnin’ with the Devil provide the powerful beat for the Acura commercial that will appear during the first quarter of the big game. The spot is a showcase of the Precision Crafted Performance brand direction that is core to the Acura brand and vividly represented in the NSX supercar. The new Acura Super Bowl commercial is posted to Acura.com and Acura social media channels for previewing before the big game and is augmented with a series of unique social media activations and live experiences, including one of the first applications of Twitter Conversational Video to launch a Super Bowl spot. 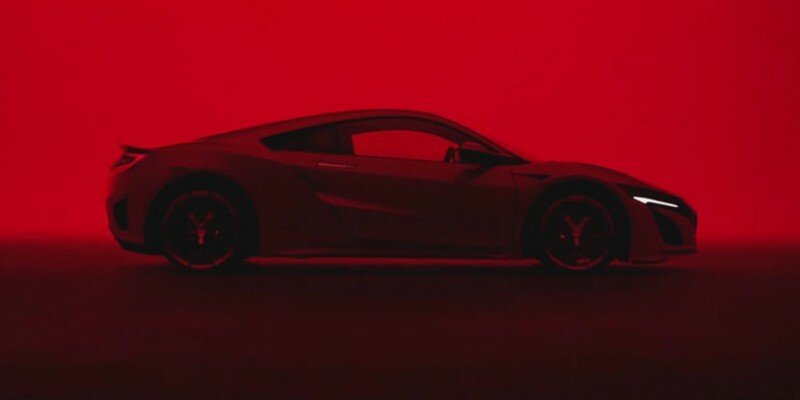 Tagged with the words “What He Said,” the Acura Super Bowl commercial demonstrates the NSX is better described through raw emotion than words alone. This is the first time Van Halen has released Runnin’ with the Devil for use in advertising. The 30-second visual tour de force relies on the elegant design and powerful inner-workings of the NSX, with Runnin’ with the Devil building softly in the background, before erupting in a powerful crescendo through rapid-fire vocals – hollers and screams responding to every camera movement across the intricate details of the NSX. The color palette of the NSX Super Bowl commercial is a deliberately vibrant red, white and blue, a celebration of the all-new 2017 NSX, the only supercar designed, developed and manufactured in the U.S. Exclusive global production of the NSX is set to begin this spring at the new Performance Manufacturing Center in Marysville, Ohio1. Acura was the first international luxury nameplate to develop and manufacture products in America. Acura’s social media activations culminate in delivering a Precision Crafted Performance experience. Through Twitter Conversational Video, viewers generate a pre-populated tweet featuring the 30-second commercial, which when shared using #DriveAcuraNSXContest and tagging a friend, will enter them into a sweepstakes for a VIP NSX driving experience. The sweepstakes will also be accessible via the Acura Twitter and Facebook pages. Extending to the digital space, the brand will unveil a 60-second version of the Super Bowl commercial and a countdown clock beginning Jan. 29 that leads to the Feb. 25 launch of the Acura NSX online vehicle configurator. The NSX configurator will enable potential customers and fans alike to design and build their dream NSX. Additionally, starting Feb. 25, those interested in purchasing an NSX can contact an authorized Acura retailer to place their order. Created to bring a new experience to the supercar segment, the next-generation Acura NSX challenges conventional beliefs about supercars, with cutting-edge and world-first technologies. Much as the first generation NSX did a quarter century ago, the 2017 NSX breaks the mold through a first-of-its-kind Sport Hybrid Super Handling All-Wheel Drive power unit, a multi-material body structure, advanced aerodynamics and a cockpit that supports performance driving on every level without sacrificing comfort. Precision Crafted Performance – performance delivered with incredible precision, outstanding quality and elegant, innovative engineering – defines Acura’s core character and authentic brand DNA. Acura’s Super Bowl commercial and related activations are high-profile elements in a newly-launched brand campaign that focuses on communicating Precision Crafted Performance as the Acura brand direction. The Acura brand is committed to sharpening its focus on these core values, expressed in the dynamic capabilities and styling of Acura products, as well as in the brand’s marketing and customer experience, in order to create a more distinct and powerful image for Acura in the marketplace. The Acura Super Bowl commercial can be viewed at Acura.com. Additional media assets and information, including screen shots, 2017 Acura NSX pricing, features and high-resolution photography is available at AcuraNews.com. The spot was created and produced by MullenLowe, agency of record for Acura.